Good news is always welcome when working in a field like ours where social and environmental challenges are often seemingly intransigent. Months or even years can pass with seemingly limited progress and then, suddenly, there is a decision that changes the work entirely or shifts us into fast-forward gear. We had just one of those moments last week when the Hong Kong government recommended that shark fin not be served at official functions. In a circular dated September 4th but only announced last Friday in a press release, the government also said its employees should not consume the soup at functions they will be attending. The intention was for the government to “demonstrate its commitment to the promotion of green living and sustainability,” according to the press release. Also included in the recommendation was that blue fin tuna and black moss should be avoided. A government ban on public sector consumption of shark fin has been the primary “ask” of conservation groups working in Hong Kong on reducing the consumption and thus import of shark fin. 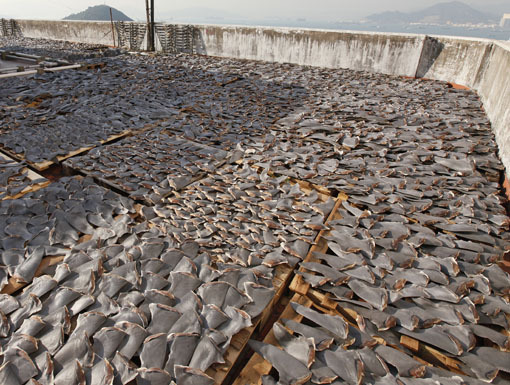 There has also been some success there: Although Hong Kong still imports about half of all shark fin traded globally, data from the Census and Statistics Department indicates a 19.8 per cent drop in imports from 2011 to 2012. This is particularly interesting given that for the 15 years through 2011 shark fin imports remained relatively constant at about 10,000 tons a year. Of course, the question is whether this reduction is due to declining supply – fewer sharks in the oceans – or a reduction in consumption. Stay tuned for the results of our investigations. Working with Hong Kong Shark Foundation and Bloom, we intend to survey restaurants and wedding planners to get a sense of whether consumer tastes are changing – following some years of education on the biodiversity challenges associated with the consumption of shark fin. Estimates are that the fins of as many as 73 million sharks are traded each year and scientists warn that the rate of fishing for sharks, many of which grow slowly and reproduce late in life, is unsustainable. 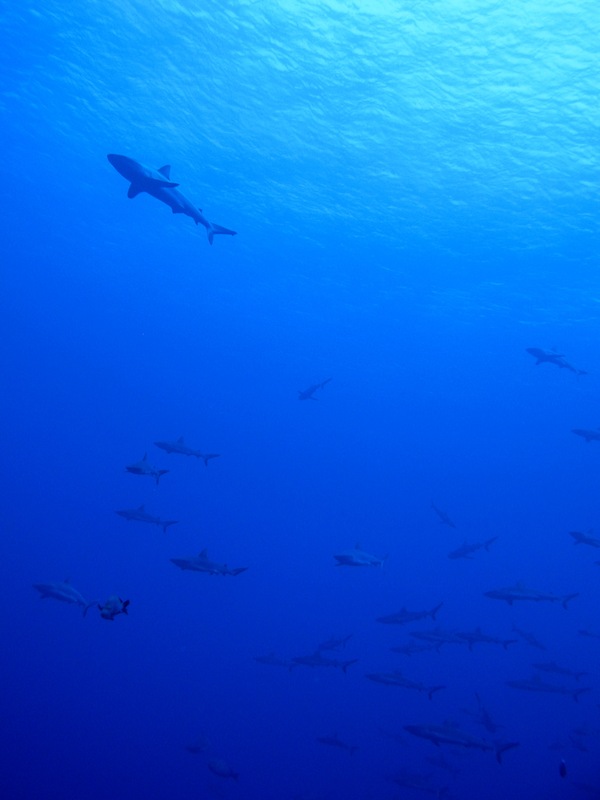 Sharks help maintain marine habitats such as coral reefs and ocean health by regulating the variety and abundance of species below them in the food chain, including commercially important fish species. The International Union for Conservation of Nature’s Red List estimates that of the 262 shark species where there is sufficient data to assess conservation status, 54 per cent, or 142 species, are at risk of extinction either now or in the near future. When ADMCF in 2006 first started working with conservation groups in Hong Kong to research consumption habits and the trade, educate consumers about sharks and ultimately reduce consumption, the task certainly looked daunting. There was a sense that expensive shark fin soup, served mostly as a status symbol at official or business functions and wedding banquets, was an entrenched cultural tradition. Still, a study of cultural attitudes toward shark fin in 2011 by Bloom and the Hong Kong University Social Sciences Research Centre showed that 88 percent of respondents believed the Hong Kong government should prohibit the sale of products that involved killing endangered species. More than 75 percent said it would be acceptable not to include shark fin in a wedding menu. Certainly, the first achievement milestone was, after much hard work by conservation groups here to educate hotel staff, recognizing last year that more than 60 percent of four and five-star hotels had either taken shark fin soup off their menus or would serve it only upon request. More recently, airlines, led by Cathay Pacific, have said they will no longer carry shark fin as cargo unless they can be assured the fin is from sustainable sources. This is in line with many corporate sustainability policies. The sense here, and perhaps globally, is that the “tide is turning” in favour of sharks. We believe that change is inevitable. Our job at ADMCF is to keep the pressure turned on both government and business, keep educating consumers and move us even closer toward more sustainable use of our already depleted oceans. We hope the next milestone achieved will be a full Hong Kong government ban on the shark fin trade here until the industry can show that the product can be harvested sustainably. We are currently a long way from real sustainable supply, with only two small certified shark fisheries producing only spiny dogfish (small fins), which are not the source of much of the soup consumed in Hong Kong or elsewhere. Splendid news! But there is,as you say in your article/report, a need to increase the pressure. RAPED , KILLED, CREMATED – CAN INDIA’S CONSCIOUSNESS CHANGE?